Iranian President-elect Hassan Rohani was on the special Iranian government committee that plotted the 1994 bombing of a Jewish community center in Buenos Aires, the Washington Free Beacon reported Thursday. The bombing left 85 people dead and hundreds wounded. Argentina had accused the Iranian government of planning the attack and Hezbollah of carrying it out and numerous Iranian officials are still wanted by Interpol in connection with the attack. Former Iranian intelligence official Abolghasem Mesbahi, who defected from Iran in the late 1990s, testified that the decision to launch the attack was made within a special operations committee connected to the powerful Supreme National Security Council in August 1993, the Washington Free Beacon reported. 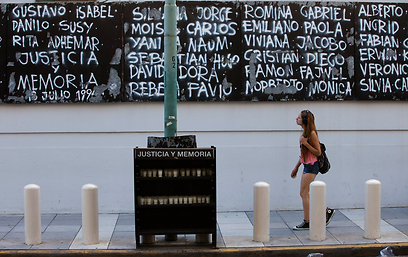 According to a 2006 indictment by the Argentine government prosecutor investigating the case, Mesbahi testified that Rohani, who was then serving as secretary of the Supreme National Security Council, was also a member of the special committee when it approved the AMIA bombing. The report further stated that Iran's Supreme Leader Ali Khamenei led the special committee and Khamenei and Rafsanjani made the ultimate decision to go ahead with the attack. While Rohani was allegedly present for deliberations about the planned bombing, it is highly unlikely he would have had approval authority, Iran experts claim. “Rohani’s power at that time comes directly from one individual, and that’s Rafsanjani,” said Reuel Gerecht, a senior fellow at the Foundation for Defense of Democracy. Rohani has been portrayed as a moderate reformer by the media and some Iranian regime supporters despite his close relationship Khamenei. He also supported deadly crackdowns on student protesters in 1999, and claimed that he deceived the West into allowing Iran’s nuclear program to progress while serving as Iran’s nuclear negotiator with the Europeans. 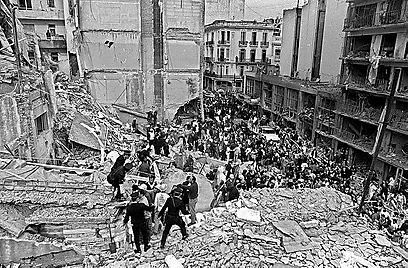 See all talkbacks "Report: Rohani involved in 1994 Buenos Aires bombing"